Lancaster, Pa., 2015-1-9 — /EPR Retail News/ — After a banner year of introducing the first store redesign in company history, expanding into two new countries, and the successful launch of its popular mobile app “Pretzel Perks,” Auntie Anne’s® Pretzels is well positioned for significant growth on all levels in 2015. Executives with the more than 1,600-unit franchise, made famous by its fresh, hand-rolled snacks, have set a goal of opening 100 new domestic locations in 2015, in large part through continued emphasis in non-traditional growth. Auntie Anne’s, which opened more than 90 new non-traditional units last year, will continue to grow strategic partnerships that brought new locations to Meijer supercenters and Universal CityWalk in Orlando. In less than two years, Auntie Anne’s has built its theme park destination portfolio to an impressive 13 locations nationwide. Each new location in 2015 will be built incorporating the brand’s new store design. Since its debut in May 2014, more than 40 stores now feature the new look and feel, which resembles a home kitchen with warmer tones, new ovens and redesigned equipment. The new design has been well-received by both franchise owners and consumers. In addition to domestic growth, the franchise has recently entered Aruba and Canada. The new locations have continued to prove the concept’s ability to adapt in numerous cultures by producing high-performing sales numbers and instantly creating new loyal fan bases. Looking ahead, Auntie Anne’s has set its sights on additional international development opportunities in 2015. 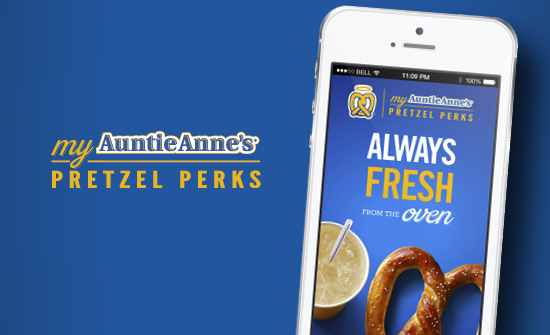 Fans of Auntie Anne’s in America are showing their loyalty, too, through its new “Pretzel Perks” mobile app. Launched in August 2014, a whopping 455,000 pretzel lovers have downloaded the app via iOS and Android. In the year ahead, Auntie Anne’s will focus on generating new downloads and creating customized offers via the app. “We are incredibly proud of this year’s accomplishments on all fronts. Downloads of our mobile app continue to grow, allowing us to gain more insight and increase loyalty of our guests. Our brand awareness continues to build here and abroad, and we continue to evolve with our new store design. That said, we can’t ever be complacent. In the coming year and moving forward we have to continue to challenge ourselves through a strong emphasis on innovation of menu, consumer engagement, and operations,” said Heather Neary, Vice President, Global Marketing at Auntie Anne’s, Inc.
Auntie Anne’s is currently in 48 states and more than 30 countries and was recently ranked no. 34 on Entrepreneur magazine’s 2015 Franchise 500®. For more information on franchising opportunities with the brand, please visit www.auntieannesfranchising.com. An award-winning franchise system that is owned by FOCUS Brands Inc., Auntie Anne’s® Pretzels received the 2014 Technomic’s Chain Restaurant Consumers’ Choice Award for craveability, ranked number one in the category of hand-rolled soft pretzels by Entrepreneur Magazine’s Franchise 500, and was granted the World-Class Franchise® honor (the most prestigious award in franchising) for the past seven years. For more information about Auntie Anne’s, visit www.auntieannes.com, www.facebook.com/auntieannespretzels, www.twitter.com/auntieannes, or www.youtube.com/auntieannespretzels.  This entry was posted in Business, Food & Beverage, Management, Marketing, Retail, Retailer and tagged Auntie Anne's, Heather Neary, Pretzel Perks, Soft Pretzel. Bookmark the permalink.